Now there is a revised proposal to deposit the dredge spoil on land rather than in our reef waters. You would be excused for thinking this is a win. But no. The issue of spoil is only a part of the argument as to why this development should not proceed. It’s also worth noting that dumping the spoil on land is only a proposal, not a documented plan. There are multiple concerns about the Abbot Point project: health issues resulting from coal mining and transportation; environmental impacts due to dredging and increased shipping traffic; the fact that globally the fossil fuel industry is slowing burning-out and is being replaced by green energy, leaving stranded assets. But of at least equal concern is how far this proposed project has progressed – to alter a wonder of the world – without a full understanding of how anthropogenic actions will impact the region. The need to conduct a holistic examination on any project – let alone one that could adversely affect the Great Barrier Reef – should be known by the current Government. The Sustainable Engineering Society stressed this to the incumbent Federal Environmental Minister in 2013, in a submission relating to Waratah Coal’s Galilee Basin proposal. Not surprisingly the residents of the area – and possibly the majority of Australians – are unhappy with this proposed project, which may also reflect badly on the engineering profession. Several large international banks – due to pressure from their own clients – have removed their interest to invest in this potentially devastating development. 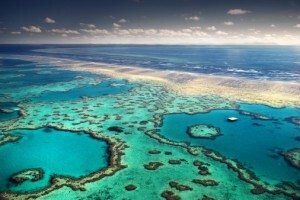 Yes, overseas investors are more concerned about the effects on the Great Barrier Reef than our own leaders! The case for protecting the Great Barrier Reef is clear: the diversity of the native flora and fauna; the aesthetics of the area; the billions of tourism dollars the reef brings to the economy each year. Any one of these concerns is sufficient to justify rejecting more industrializing of this wonder of the world. “Engage responsibly with the community and other stakeholders; practice engineering to foster health, safety and wellbeing of the community and the environment; and balance the needs of the present with the needs of future generations”. Wind energy is approaching parity with the real cost of coal-sourced power. Australia has enormous potential to utilize solar energy, through both photovoltaic and concentrated solar thermal. So the need for more coal extraction should be reconsidered, a point highlighted in the Beyond Zero Emissions 2010 study. The amount of coal to be exported from Abbot Point should be minimized, because what we mine from our land is our responsibility, and we cannot wash our hands of what is done with this coal. In a world where the burning of fossil fuels in country A can affect the climate of county B, a holistic approach to questions of development should lead to more support for renewable energy (if extra evidence on top of the benefits to the health of the world’s inhabitants is required). The engineering, architectural and building communities must do what they can to stop this development at Abbot Point. This could be done by collectively refusing at any level to support this project, for example, by refusing to put in tenders or accept any contracts. Even if our Government does approve this project, how could it be constructed without the active support from the construction communities? The onus is on us to raise our voices against this environmental travesty. More importantly, if we cannot do what is right by our own code of ethics and what society relies on us to do, then maybe additional controls will need to be put in place. One option could be for Engineers Australia (the governing body of the engineering community in Australia) to create an independent authority which overseas major projects and determines if they comply with our code of ethics, as measured against environmental, social and economic impacts. Abbot Point is an important test for our profession, one that we need to pass – not just for the Great Barrier Reef, not just for our profession – but also for Australia, and potentially for the world. Yes we can do this, we just need to say no. This entry was posted in Activism, Climate change, Environment, Renewable Energy, Technology and tagged Abbot Point, climate change, coal, divestment, engineering, environment, Great Barrier Reef, politics, renewable energy, sustainability, world health by Daniel Marotti. Bookmark the permalink. Excellent article, Daniel! I wonder if it could progress to a broader action, including, apart from the engineering community, wider, Australian community? All the best!